This toolkit is designed so that you can use it to work through your research process from start to finish – or you can dip in and out of it to find the sections you need. Depending on what type of organisation you are and what experiences of research you have, it is likely that you will find some parts more relevant to you than others. Section one ‘Why do community research’ aims to demystify research. It shows how and why community groups can carry out their own research. Section two includes some examples of ‘Research for specific purposes’, looking in more detail at how your research can help you evaluate what you have done in the past or to plan for the future. The fourth section ‘Before you start’ introduces some key research concepts. You can supplement this with some of the further resources listed in section 10. In the fifth section, we take you step by step through ‘Planning your research’. This includes how to design and plan your research so that it provides answers to the questions you are asking. It also suggests some of the broader management issues you need to consider when undertaking a research project. The sixth section gives more detailed advice on ‘Research methods’ such as questionnaires and focus groups. The seventh section covers the final stages of your research – ‘Describing and analysing your findings’ and presenting them to your audience. 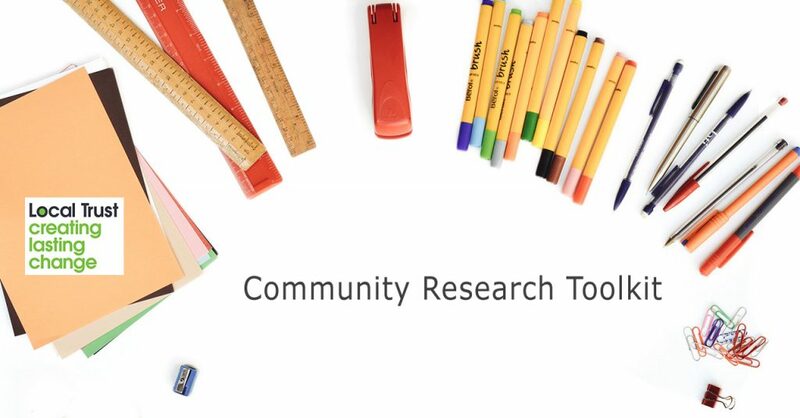 The tenth section lists ‘Further resources.’ This includes material on basic research methods that is easy to get hold of and easy to use, plus some key sources (printed and online) of existing research and statistics relevant to community groups. Wherever possible we have used examples based on research carried out by other community groups. We have provided links to some material from universities where it is written in plain English. This toolkit only provides a brief introduction to the subject of how to do research in communities but we have provided links to other sources of information that you might find helpful. You may share or photocopy any part of the toolkit but please acknowledge ARVAC as the source. The toolkit was originally compiled in 2001 by ARVAC staff. We are grateful to Jayne Humm and many of our user groups for comments on draft versions. We would like to thank all contributing groups, as well as all the groups we have worked with over the life of the project, for their wisdom and resourcefulness, and the Community Fund who made it possible to distribute the toolkit free to community groups. In 2018 it was decided that the toolkit needed refreshing in order to reflect changes that have happened in the intervening years. We commissioned Nicky Stevenson to do this work on our behalf and it was designed by Ian Henghes. Local Trust supported the refresh. Once again we would like to thank the community groups and researchers who contributed ideas and examples to bring the toolkit up to date.